In New Zealand, sports betting online is favourite pastime of sports fans and gamblers alike, with Kiwi&apos;s able to place bets on their favourite teams and players (in both the local and international scene) at the touch of a button. Combine the massive impact that Britain has had on New Zealand&apos;s sporting culture and you get the passion for sports such as cricket, horse, and greyhound racing combined with the thrill of real cash, tax-free winnings for an experience guaranteed to please the most enthusiastic of sports fans. Take your online sports wagering experience to the next level and take a browse through our list of carefully vetted, reputable betting sites and be sure to check out Unibet, our top pick for New Zealanders looking for a real money sports betting site. We do the hard work for you in choosing only the best online sports betting sites available to our New Zealand audiences. New Zealanders have a long history with sports betting and with the rise of the technological age comes even more convenient ways for Kiwi&apos;s to place bets on their favourite local and international sports teams and stars. While the local online betting scene has experienced a boom in recent times, it is the rise of international betting for real cash that has really kicked sports betting in New Zealand to new heights. Not being limited to local games, leagues and matches means that there is even more opportunity to win NZ dollars just for following your favourite sports stars. Not only do Kiwi&apos;s have unique access to both local and international talent but, due to regulations surrounding online gambling in New Zealand, bettors can claim all their winnings in a completely tax-free environment meaning more bang for your buck when placing your next bet at one of New Zealand's reputable online sports betting sites. Placing sports bets in 2019 is easier than ever before with the rise of online and mobile sports betting sites meaning that anyone with access to an internet connection can win real money from the comfort of their own device, be it a PC or a mobile device. Whether your passion lies in horse racing, harness racing, football, rugby, cricket or any other sport you can think of, chances are there is an online or mobile sports betting site that can offer you the best sports betting odds on the next fixture. Be it national or international, all audiences are catered for in the most convenient way possible and, with real cash on the line, the possibilities are endless. 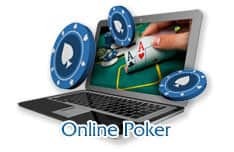 While online gambling may be seen as one of the most convenient way to place your bets in 2019, there is one contender that truly does deliver the quickest and easiest way to place your bets. 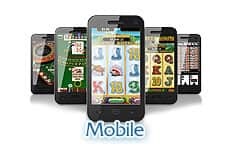 That is mobile sports betting from cellular devices. Taking your online sports betting experience to the next level, you can use the Blackberry, Apple, Windows or Android phone, or tablet, already in your pocket to place your next bet. Taking your online sports betting to the next level is easy and with the popularity of betting sites for New Zealanders on the rise comes an increase in the number of mobile applications and mobile web browser supported sites (html5) which means that placing your next bet can be both simple and fast, and done at the touch of a button. While you may be able to find most sports you could possibly think of to place bets on at one of our recommended online real cash sports betting sites, there are a few sports that have really taken off in New Zealand&apos;s betting books. With the surge in popularity of online and mobile sports betting sites comes a rise in the number of less than reputable gambling sites looking to make a quick buck off of a passionate group of sports fans. 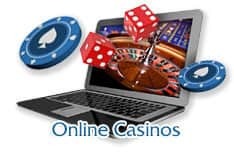 We understand that this may tarnish an otherwise fantastic online gambling experience so that is why, when we choose the sites to include in our list of recommended sites, you can be assured that only the best and most reputable sites make it onto our short list. 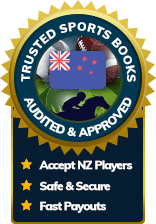 Is online sports wagering popular in New Zealand? Online sports betting is extremely popular in New Zealand with bets for both national and international fixtures able to be placed across a range of reputable online gambling sites, all from the comfort of your home PC, mobile device or tablet. Is it safe to place to gamble online? Choosing to place your bets at one of our recommended sports betting sites means that your personal information is locked behind some of the most secure encryption available to online audiences. Don&apos;t take a chance, choose to place bets at only the most reputable betting sites for New Zealand audiences. Which sports are supported by online gambling sites? While some sports may be more popular than others, chances are that the sport you are looking for is supported by at least one of the sports betting sites on our recommended list. From football, horse racing, harness racing, cricket, rugby, tennis and more, the number of supported sports and fixtures continues to grow meaning you are almost guaranteed to find the sport you are looking for. No! The great thing about online sports betting sites is that there are a number of sites that offer gambling through the use of site-based currency. 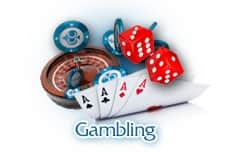 Whether you are just looking to learn the ropes by playing for free or just want to test out a site to see if you want to deposit your NZ dollars, there are options for all types of gamblers. How can I start placing bets? Bet placing is simple and easy and requires only a few minutes of your time. Once you have decided on a mobile application or site to place your bets on it is simply a matter of signing in (or creating a profile if it is your first time) navigating to the fixture you want to place your bet on and placing your bet. Now just wait for the results and either claim your winnings or make your choice more wisely in the future. What are the rules of online betting? While there are no specific rules that cover sports betting online or on mobile there will be site-specific rules that will apply so be sure to check out the terms and conditions of any site before signing up.